The New York Racing Association has announced the formation of what it is billing as the Turf Triple Series. The series will consist of three grass races each for 3-year-old males and 3-year-old females and will be worth a combined $5.25 million The series for males will be called the Turf Trinity, and will offer total purses of $3 million. The trio of races for fillies has been named the Turf Tiara and will be worth $2.25 million. The races for males will be run at the same distance as the American Triple Crown dirt races, starting at a mile and a quarter, followed by a mile and three-sixteenths and concluding with a mile-and-a-half race. 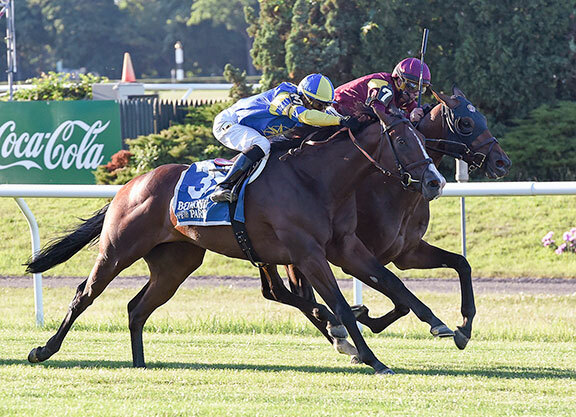 The two series will begin July 6 at Belmont during the “Stars and Stripes Festival” and with races that had previously been on the NYRA calendar. The boys will run in the $1-million GI Belmont Derby Invitational, while the girls will compete in the GI Belmont Oaks Invitational, which will carry a $750,000 purse. The purse of the Belmont Derby was cut by $200,000 and the filly race went from $1 million to $750,000. But the reduction in those purses will more than be made up by the addition of the extra races. The series will then move to Saratoga on Friday, August 2 with the inaugural Saratoga Oaks for the fillies. The race will be run at a 1 3/16 miles. 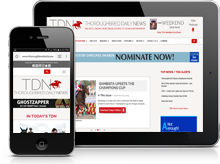 The males will have their turn Sunday, August 4 with the inaugural $1-million Saratoga Derby. The series will then move to Belmont for the fall meet. Saturday, Sept. 7 will feature the $1-million Jockey Club Derby for males and the $750,000 Jockey Club Oaks for fillies. The Jockey Club Derby, though it will not be a graded race, will be a ‘Win and You’re In’ event for the GI Breeders’ Cup Turf. The Jockey Club Oaks will be run at 1 3/8 miles. Panza said one of the reasons the filly series will end at 11, instead of 12 furlongs, is because the GI Breeders’ Cup Filly & Mare Turf is typically run at 1 3/8 miles or shorter. All six of the races will be broadcast on national television, either on the NBC or Fox families of channels. Panza said there will be no bonuses given out this year, but held out the possibility one will be given to any horses sweeping the series in the future. He said the problem is that insurance companies are reluctant to provide coverage for bonuses attached to horse races when they have no data to go on to base the probability of a horse winning all three legs. NYRA will obviously try to attract as many European shippers as possible to New York to take part in the Triple Turf Series. Even though the New York races will be going up against some prestigious and lucrative Group I races in Europe, Panza believes they are well positioned to attract a number of foreign horses.